The world of aviation isn’t as big as most think. Every airport you visit, every conference you attend, you eventually see a lot of the same people. However, the aviation community continues to avoid stagnation, working toward a common goal of improving the industry for everyone involved. 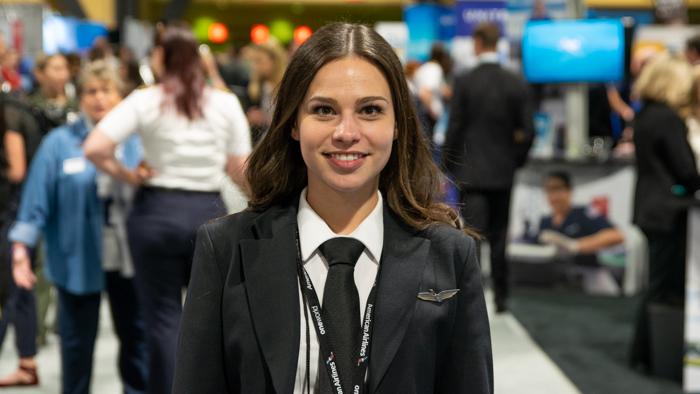 At this year’s Women in Aviation International Conference in Long Beach, Calif., the forward progress was on full display with many talking about the latest technologies in flight, continued industry growth and how to pave the path for future aviators. 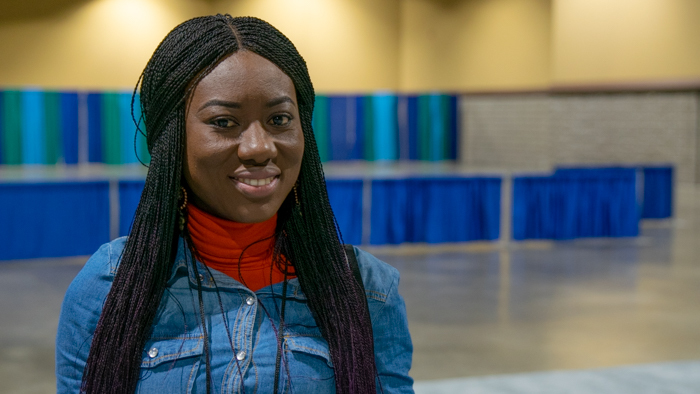 We met with three women from very different backgrounds to learn more about who inspires them as aviators, what they envision for an equitable future and what advice they have for aspiring aviators. 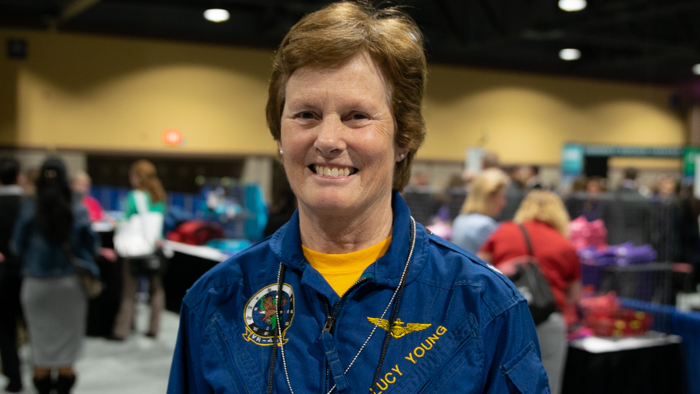 Captain Lucy Young earned her first pilot’s license 43 years ago, and one year later joined the U.S. Navy as a pilot. In 1986, Lucy transitioned to commercial aviation and began her 33-year career with American Airlines. Today, Lucy is a Captain flying the Boeing 767 based out of Philadelphia. However, as Lucy tells it, she never set out to become an airline pilot, it just progressed that way. Throughout her career as a pilot, Lucy has looked up to Amelia Earhart for her courage and undeniable determination to accomplish the unthinkable. Lucy also thinks that same courage can be applied to young women joining the aviation industry. As for her advice for airlines looking to support more women in their company, Lucy think that it’s simple: hire qualified people, regardless of their gender. She’s also aware that the regional airlines like Envoy are a great way for women pilots to enter a pipeline into the major airlines like American. Linda Aggrey works in Ground Operations for Turkish Airlines in Accra, Ghana. She believes that the airline industry is a great career because of the ability to take on so many different responsibilities in one company. First Officer Judy Franke is not only a new pilot to Envoy, but this was also her first time at the WAI Conference. Over and over Judy remarked at how incredible the conference is for her now, but especially to a young woman aviator who’s just starting out. Born in Germany, Judy moved to the U.S. when she was very young. However, she didn’t really have any women role models in the aviation world, so she looked up to her husband for guidance into her pilot career. At the conference, she had her opportunity to gain inspiration from the amazing women speakers. One such speaker, a national hero, was Captain Tammie Jo Shults, who safely landed Southwest Flight 1380 after losing an engine midflight. 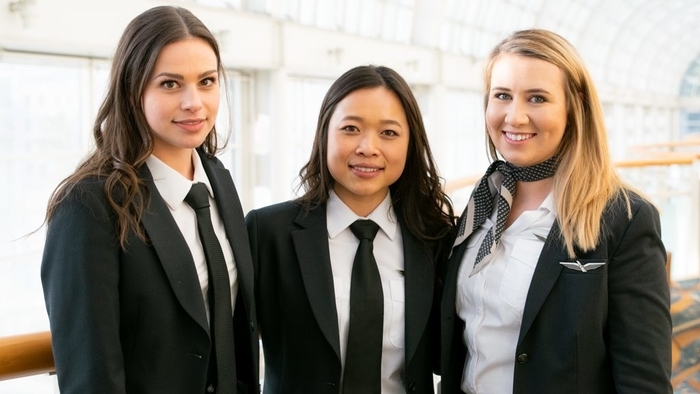 As for how Judy feels about women pilots in the airline industry, she doesn’t really see an advantage or disadvantage in her experience training with Envoy.